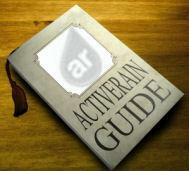 The Official ActiveRain Guide: Blog Blog and Now ReBlog? Blog Blog and Now ReBlog? I find an article or post on ActiveRain that I really like and want to share or "Re-Blog" about it. BRAD - Thank you for offering up an explanation. When I logged on, I was baffled by what I was seeing. I don't know what the SEO benefits are, but I'm looking forward to learning more from you. One suggestion that I would make though, is to move the icon to another place. It is very distracting, and the consumers are going to be confused by it. I'll speak to you soon. Oh my! This should be quite interesting. I suppose I'll get to catch up on all the wonderful posts I miss. i just noticed it and had to come see if I could find out what it was about... I wondered if it was re blog as in real estate blog or re blog as in write about a blog. has anyone reblogged? Point me to a reblog. I started to do a couple and hesitated. A reBlog facilitates the process of filtering and republishing relevant content from many other Blogs. reBloggers subscribe to their favorite blogs, preview the content, and select their favorite posts. These posts are automatically published through their favorite blogging software. Re-blog of our own blog articles? I would think that could be advantageous instead of simply providing a link when referencing an older article that you wrote. Edit: Just read your comment above this one Brad. I'm still confused, but it is early in the morning and I'm still on my first cup of coffee :-) I'll check back in to read all the comments later in the day, it should clarify things in my mind then. Sounds interesting; and for 6 am in the morning, that's saying a lot! but I edited it and took it off my outside blog, added some tags, posted it to RE professionals and posted it to three groups. My only other question would be this: Copyright laws (to my knowledge) state we can use a 2 or 3 sentence snippet and then provide a link to the original authors work. If this re-blog uses the entire article, how does that get around copyright laws? is the 5 indicating that this has been reblogged 5 times? Brad, Thanks for the information. I will wait and see how this works. I think it seems like a nice addition. Thanks! Thanks for the explanation, I will have to try it. I was puzzled when I saw it. AHHH, so that is what that funny little tab /arrow is all about. Hmmmm...sounds like twice the points for half the work....? There are the mega points folks who have been cutting and pasting this for a while...not sure I get the point. I'm sure this is going to bring up some serious issues. I can understand being able to reblog my own posts if I want to update a post I've done previously but it raises does raise some serious concerns in my mind about the usage. I played with it though and it is easy to do! Not sure if I understand it either yet... you guys really do come up with some stuff! I can honetly say I've never woken up at 2AM with an urge to blog---hope you got back to sleep soon after. Thanks for the info, too. Shouldn't I be able to go from Brad's blog though to things that were inspired by it? I know to keep the spam down AR doesn't use trackbacks. Brad: Thanks for the tutorial. I was wondering what that icon was about. I thought I had done something wrong and someone was saying this was a repost of an old blog. I re-blogged you to all the stager groups. I think I just invented a new word "re-blogged". I can see where this would have good usage in an AR debate. The second poster would simply re-blog the post that they disagree with and then add their comments. This would be mush simpler for readers to follow. Can the original author "opt out" of the reblog on individual posts? For example, I don't think I want my competitiors reblogging my market reports. What happens when members now do nothing but reblog to populate their blog? OK I have do some more thinking on this one. I'm with Broker Bryant on this one...My intial reaction is of course the opt out option. I believe it's important for us to have the ability to control our own content in the Rain. I also have serious concerns about Members populating their Blogs with everything but their own content. Brad, my content is the concern. Not that I am a great writer or poster but we do have issue with hijacking and stealing our content. It is a good idea, but I think we all need some control on this upgrade. I just reblog one my first post for a test. I just did this on a post about the John Edwards thing. I was about to write a blog when I someone else already had. I quite like it. That way you can easily give credit to the other people who inspire your thoughts. But then again, consumers won't have a clue what "re-blog" means and that could get confusing. I'm not grasping this reblog thing yet. Must need more coffee. If you want to blog about something, how do you find out if it has been blogged about already? I'm so confused... time for coffee. This is too cool. I often read something and i feel like adding some more info to it, now I can. I can see some really cool things to do with this feature. I also understand some of the concerns, such as using it to get points. I too ran a test, and it felt wrong to get the points for it. I'm sure that AR will look at these concerns and tweak it, just like they have done with everything else in the past. They have always listened. Having said that, I'm excited about it and look forward to all of the opportunities! 1. The link going back to the author of the content is so small most people won't even notice it. Especially the skim readers. 2. Is there a way to track our content and be aware of who is posting it and where they're posting it? 3. I've already seen a few re-blogs being posted and appartently the Bloggers are getting points for using another Members content. Not cool. 4. How are we and other Bloggers supposed to be original when Members are re-posting our content? I just ran a test too, reblogged my friend's latest post, and it went straight to the top of my blog list and my outside blog, and I got 200 points. I felt the same way as Dennis, like it just wasn't right to take someone else's post and copy it into my list and get points. I'll be looking forward to learning more about the opportunities that this feature gives us (other than padding points). I'm sure members will write about some of the things they do with it, and as always, I will learn a lot. Thanks AR. If someone reblogged my post, to me that is plagiarism. Also some members will do it more often to get points and that is not really fair to the original rainers who worked hard to populate their blog with good content. They can comment on your blog so why reblogged it. Or maybe you can only reblog your own post just in case some AR missed it the first round. I really have to think about this. Interesting. Kay Perry asked the question, I experimented by reblogging her post. I ended up in a new Sondra's Blog land and then I couldn't find my way back to AR from that page. That might be little problem since I really like AR. You all at AR certainly know how to keep us challenged with a steady stream of new ideas and things to try. Reading all these comments it appears that RE-BLOGging is going to be another one of those topics that will create loads of posts. But just think, all these posts can then be RE-BLOGged again and again. Brad, my question is would this be a way to get some of our old posts on to localism? I have some old posts I want in my new communities and was thinking about re-posting them. It that a good or bad idea? I just noticed that cute little button this morning.......... very smart..... Now to figure out what it is that I am going to use it for and on what. I agree with some of the others...could we maybe make the text saying the original poster's info a little bit larger.. maybe add our profile pic to the line? I know that at first glance at Jon's reblog of this, i missed the post came from you. I also wonder if there are certain things we can click for non reposting...if I do all the work for a market report of a community, I don't want my competitors to be able to just reblog the data I spent hours gathering, analyzing and constructing into a useful report. Yeah -- I'm off to give it a try. I talked to AR Bob about this at RE Tech South a few months ago and have been anxiously awaiting roll out. It is a fabulous feature, but I thought he said there would be a way to choose to opt out posts. The pro to me is to be able to syndicate fabulous mortgage information, etc. written by true authorities in their fields to my blog for my consumers. The con - at this time it looks wide open and ripe for abuse. Permission based re-blogging - AR should send a notification to the original blogger telling them that someone wants to re-blog their post. The original blogger should then have the option of allowing or not allowing the re-blog. That way people can have control over who specifically is allowed to re-blog their posts. Allow the original blogger to deny permission retroactively (even if they originally gave permission) if they don't like the way their post has been re-blogged or the comments added. The identity of the original blogger should be larger/more obvious at the top of the post to make sure there is no doubt that they are the original author. By doing so, a competitor will be less likely to hijack someone else's post and claim it as their own. Give re-bloggers 100 pts. for a re-blog as opposed to 200 pts. and only if they add valuable original content or commentary as part of the re-blog (50 words or more). As in most things AR, this can be policed by the community. Please comment on the whole duplicate content quandary. Interesting concept. I don't think points should be awarded for reblogging- people who want points will just come in and reblog everyone else's content. I'm not quite sure I get what the benefit of this feature is. Doesn't this fly in the face of all the copyright violations Lenn Harley has been educating us about? Seems as if AR is now condoning copyright violations, allowing everyone to steal someone else's hard work. You (and AR!) really know how to tax my tired brain! LOL I'll be checking into this more when I have 100% java running through my veins. Thanks! Nrad, I noticed it first thing this morning while reading and thought maybe it was added by the person posting, but then noticed it on all posts. I would like to know more, but like anything it needs to be tried and experimented to get the full effects of it. I am with a few of the commenter's about not wanting someone else to benefit from my blog, but then again, that is selfish and frankly as Goethe put it, there are no original ideas. So, I am going to try and "re-blog away! Truly interesting brad. Michelle has some great questions and thoughts! Oh Boy! This is sure to stir things up a bit around here. Here's my two cents. I run around taking pictures, research relevant data, write a blog post and then anyone can "reblog" it as many times as they want on their personal/localism/and outside blog? They get the same points, my blog article could be picked up by a search engine and take a reader to their website/outside blog/blog on the rain, they could add things I don't agree with (it's not like a comment I will know about immediately and can reply to) and I get my name in tiny print at the bottom? I don't like it one bit. I feel it ranks right up there with "re-posting" someone's content without permission or hiring someone to write for you and "signing" your name to it. If you want a blog, write it yourself. If you have something to say about someone else's blog, that's what comments are for. It's too early to think this much. How's about keeping it simple and just getting trackbacks like the rest of the blogging world uses. I'm trying to wrap my aching head around this and agree with Bryant Tutas that the original poster should have the option to opted out. I think Michelle Minch is on the right track. IMHO, anyone just posting re-blogs only makes them look dumb. Question: If someone's post is re-blogged, wouldn't that feed their SEO? Not that this would be a bad thing. So you just allow someone to republish an entire post without the original authors permission? Then there isn't even a link back to the original post but to the url of the original author's url in his profile. How confusing. You're going to have multiple conversations going on in the comments of who knows how many copies of the same article. Thanks for trying, but this just looks like a horrible idea. I can see a strategy for a newcomer in how to gain a lot of points quickly. Just re-blog as many articles that you like in order to amass points very quickly and with much ease. Then after you get on top, start filling in your blog with your own posts. Maybe I'm missing something, but how is this any different than copying an article and putting this on your blog. I thought that was bad. You could only use snippets and put a link back to the original article. Cool concept, but needs some tweaks. As others have pointed out, it is ripe for point gaming and abuse. However, there are a few problems people are pointing out that AREN'T real... like duplicate content. If someone re-blogs a post I make, and I change the post, does that change show up in their re-blog? Let's say I update information in a market report... Or if I see someone abusing my post, I might write them a little message... kind of like when I change pictures that people hot-link from my site. And here is why duplicate content is a non-issue... it is syndicated. As long as the link back to the original work is intact, the credit will go back there and Google will see it s a syndicated article. Brad. I went to post a blog around 2:00 am this morning and got a message doing maintenance message. I wish that re-blog button that came up would have helped me save the information I lost. I hate is when I do that. Still confused by this re-blog but I will figure it out. Saw the button and found this post! Lots of information and ideas going in both directions. Should we or not, re-blog? Wow Brad...this sure smells like trouble although it sound pretty exciting. I don't know how you're going to try to go back to bed knowing they'll be a thousands comments on reblogin by the time you get up :)...hope you get some rest! We too have some concerns about this new feature (people who will just be goofing around for points that is) so we'll see how AR fine tunes this, I'm sure you're all ready working on it. Good job! Did post this at 2:00 in the morning? haha!! Let me go get some coffee (lots of it) and I'll be back to see what "The Member Voices" of the rain have to say about all this Re-Blogging stuff. Brad: I had just created a Blog asking about this very thing then I find this... I'm still a little slow understanding... I will try to re-blog this and see what happens. I had a e-mail this morning from Richard Smith Mortgages Home Loans FHA TN GA AL who when tried to re-blog one of his blogs it removed the comments. My idea if something is reblogged than the original author should have THEIR name the largest and contact information the largest - this would stop your competitor from putting your content on their blog to just get points and direct traffic to THEIR website. Isn't the whole idea behind blogging is not only networking but driving traffic to YOUR website. I agree with Broker Bryant we should be able to opt out of this. I like the idea OK, but why not use tracbacks? Second, I'm concerned about people gaming the system to get higher up. Can you address this? According to one commenter, she got 200 points when she re-blogged someone's post. I can see this as helpful on our older 6 month posts, but why would we want to re-others? I'm sorry I just need more explanation, the big WHY? Thanks. I had followed a link to your blog here. It makes it clear. I reblogged you first Brad, just to see how it works...I like it for my own stuff, ie., an open house, price change, update...very interested to see how this plays out. Can we track where we have been reblogged? I don't think that a reblog should qualify for 200 points. I work very hard on my posts, I use original photographs and I agonize over content. For someone just to click on it and get the same 200 points after I spent hours creating it does not seem fair. Admittedly I know little about SEO - I know what it is - but little about how it is done. From what little I do know about SEO - the engines - and rankings - a "reblog" will simply create duplicate content - right? It is my understanding that duplicate content does little to increase rankings - in fact it may have the opposite effect. I only read about 10 comments and the biggest thing that I noticed and is a concern by many is.... that you get 200 pts for a re-blog. Is this true? And if so, yes, people will be able to game the system. Another question.. if I do a re-blog, will it count towards my 10 for the week? One last question.... I need to see one... but if another member re-blogs my post, do I get credit? Does my name appear any where? If you could link to a re-blog, in your post, that would be great. Brad, Jeff, I will answer you question as I just re=blogged an old post. No I didn't get any points because I was at my limit of 10. But, I didn't do it for points but because it was a post that I did in 2007 before I knew much and it was for a localism area I bought. I like it for myself, to get a great blog back out there.... BUT... this opens up a large can of worms. Yes, you get 200 pts for doing this... so, people will game the system, for not really writing anything... RUT ROW... how easy is that. Brad.. I have also noticed that you have a number 12 in the upper right hand corner, within the re-blog thingy. When I first read this, it was a 7 or so. What does this number mean? That it's been copied 12 times? Perhaps it will help allay some fears if others do this until all the questions are answered. BTW, when do you sleep??? First off, this is great feedback from ALL of you. Thank you. no need to throw away old blogs, now you can re-blog them into a whole new thought train. To me, it sounds like this is ripe for others to use your content for their personal gain. I haven't read through the comments, but I can only imagine what they are saying. Probably more panic than good. I think once everyone understands the power and potential of this, they will certainly want to be involved. We are pushing the envelope regarding content distribution and Search Engine optimization and whenever you push the envelope you need to thoroughly explain the benefits. That being said, This feature kind of sneaked on to the live production servers last night by accident. It should not be live right now as it has not been tested all the way and some of the ways it is working are not suppose to be happening. The reblog icon should only show up to logged in users. There should be an option to participate......there are lots of things not right. We are working really hard to figure out whether to pull the whole thing or if the guys can get the corrections made quickly. MAN!! this is the last thing I was expecting when I woke up this morning..........I love this job!! Never a dull moment!! Good information. I was wondering what the re-blog was about. Sounds like a few people have concerns. I'd be interested in hearing what you think. My initial thought is their concerns are invalid. People have been posting about other posts since I joined (which has only been a little over a month). Looks like you just made it a little easier instead of copying their url. The reblog icon is down, but it will be back. Next time you see it, you will have a better understanding of our vision. We really like to see this knee jerk reaction though without us setting it up. It helps us make the decisions that take both sides of things into account. We believe in the things we are doing, but seeing the polar opposite view helps us come up with solutions that fit. John Cannata said: "My initial thought is their concerns are invalid. People have been posting about other posts since I joined (which has only been a little over a month). Looks like you just made it a little easier instead of copying their url." I don't think the concerns are invalid at all, quite the contrary. Linking over to someones blog is considered polite. Republishing some one elses words without their permission isn't polite. In fact, one of the things I questioned was how this flew in the face of copyright laws and plagerism. If I want to refer to another article that was written by someone else I simply add a word or two, place a link to their article and it doesn't take more than a moment. If I want to copy their whole article ( giving attribution) I should have their permission to do so. Wow! You guys are always opening up a can of worms! Pushing the envelope to make this site better! Another bookmarked post Brad, thanks for the information and I will definitely look into it. Annonymous: You are right. This just flies in the face of everything I've ever read about how to reference an article. When I hear people say that it is not a problem, I begin to question whether I'm the one who going insane or if the world all of a sudden has changed and someone forgot to tell me. Thanks for the explanation! I don't know what to think of Re-blog yet as I don't know how I will feel seeing any of my content reposted. Probably flattered, but more than likely that won't happen anyways! LOL! Disaster: a calamitous event, esp. one occurring suddenly and causing great loss of life, damage, or hardship, as a flood, airplane crash, or business failure. I'd like to add regarding opting out: If there is a box to check, the default should always be in not allowing re-blogging but rather something like "Allow others to re-blog" and then someone could check that box. It would be awful if the default was to allow re-blogging. Thanks to everyone for your valuable feedback and comments. This is one of the things I love most about our network. With your help and responses, we can create the best and most effective tools. I definately see some things we'll need to change, and agree with many here that for one, an opt-in / opt-out option would be a great idea. I'd also like to see more on how this benefits members SEO and link-backs. I'm also not sure about this being a point based feature, the point hungry bloggers might misuse this tool. It's certainly one of the many issues that I'm sure will be addressed in the next few hours. I agree and think a better understanding of the whole reblog option will make all the difference in the world. Perhaps we do not understand this -- but what we think we understand sounds like a bad idea. Maybe things will be clearer once the feature is posted again with explanation. I'm not sure I understand this question..........if someone reblogs your post, you are given full credit and their post links back to you. If anything, this gives you the ability to be original to MUCH wider audience. Now you won't only be original to the people that choose to read your posts, you will be original to the people that choose to read the blog of the people that read your blog and find you so original they have to share you with their readers. I am with Lenn........ I can't (in my own head) figure why we would need such a feature and if we did how you could possibly police it properly. If there is something we want to re-post we truly aren't that lazy that we can't cut paste and refresh our own content??? What's the grand picture that I am missing here? Brad, glad you took the re-blog down until you work out the quirks. I am in a small area and would hate to see the time and effort I spent on my posts picked up by a competitor that doesn't want to spend the time or effort doing their own research and then getting the SEO that I spent my time developing. Opt out for me please. I would love to see my words in print in more places, but I want credit for what I did, not someone else. In case you haven't figured this out, the name of the game is DISTRIBUTION!!! How wide of a net can you cast with the content you provide. It's the reason many blog here, so that google will pick you up and your reach will be wider. This allows someone who is well written to cast a much wider net. From a real estate agent perspective.......THIS IS NOT ABOUT YOU........this is about the consumer. Would I reblog a blog post by someone in my market? probably not........but if someone wrote a fantastic post about preparing your home for a showing, would I reblog that post so my readers had the BEST information out there about preparing THEIR home for showing? H*&* yes I would. Brad - I just want to weigh in on this conversation. I read about the re-blog on "the lovely wife's" post then came right over to check out your post and the comments. Initially I wanted to just"cut and run" from AR at the thought that my original content could be re-posted and used by someone else to gain points. Not good for someone else to gain from what I worked hard to do. having said that I will patiently wait for the bugs to get worked out and then decide my course of action. In the mean time I'm with those above who prefer to have a way to opt out or post some kind of message disallowing a repost. what's the goal? I'm trying to can't imagine what great purpose could be served by pursuing such a bad idea. Count me out. Is there some weakness or the fault in the AR historical information system that you're trying to compensate for? why not just create a Subject Index of the most popular posts and leave the original authorship intact? The reputation of the author of online and offline information should be sacrosanct IMHO. I too have lot's of questions like many of you, and look forward to getting the answers to share with ya'all. @ Bob.... I agree with part of your comment...sure, would I love to see my information all over, especially from other realtors.... BUT.. what about my competitors? Won't they also get google juice because of what I wrote... their name being attached at the bottom? Now, the consumer will come across my blog because of my quality content, but that loan officer will get noticed also... and consumers will click onto their info... and they might get the deal. Just food for thought.. how would this work? Bob, I saw they are going to be making the line back to the original owner of the post larger...maybe add their profile pic to it too? I'm unchecking my box, this is ruining my day in the sun. Missy, don't let it get to ya...the reblog has been turned off for now! Again, this is about bringing great information to the consumer. If you don't want to a wider distribution, that's ok, you'll have that option. I like it in some ways. I feel the originator should get the points, not the re-blogger. The originator should have the ability to block the re-blog if they are not cool with the way it is being used. I know once the bugs are worked out, it will be a good thing. Can the original author "opt out" of the reblog on individual posts? For example, I don't think I want my competitiors reblogging my market reports, they already copy enough of my info and ideas. If you continue with the reblog, don't you think the icon should be at the bottom instead of the top? Initially, I don't like it. Bob and Brad, After all your explanations let me see if I understand this right. As of now we can find a few members who get an idea from another member's post, write an original post, and tend to link to the other member's post (Broker Bryant has written a few posts this way). Your new addition, "re-blog" can almost be compared to our old/current way of redirecting our readers in our post by a link to another member's post. Except that in this "new" fashion we can re-post the other member's post. Did I explain this right? Also, I do understand the SEO concept. The more your blog is clicked on the higher you move on the search engines. After reading this whole post, comments and all, I think to keep abuse down to zero that the original owner of the content should get all the 200 points. The re blogger can get nothing but SEO if that was the reason for reblogging. That way there will be no reason to steal all our rich content to rack up points off all our efforts. If it's being done for true reasons the reblogger won't mind not getting points and can still enjoy using this feature, I still like the opt-out idea too. We all have worked hard to build our points. Brad- You are the Bomb!!!!! I felt like an idiot this morning at 2:00 thinking that I did something wrong, so I posted to the NEWBIES trying to find out if I was missing something. I woke up this morning and read your blog. Thank you for being ON IT!!!! I appreciate how quickly AR responds to us. Bob-you helped understand the benefits and I appreciate all of your hard work. Bob, I loved your explanations - With an opt feature this shouldn't be an issue for others. I can't wait to get some lender and stager blogs on my blog! This is certainly interesting, but I still am not quite sure how it will work. I'll come back and take another look at this agin... it's been a busy day and my brain is a little tired. if someone reblogs your post, you are given full credit and their post links back to you. If anything, this gives you the ability to be original to MUCH wider audience. Now you won't only be original to the people that choose to read your posts, you will be original to the people that choose to read the blog of the people that read your blog and find you so original they have to share you with their readers. In case you haven't figured this out, the name of the game is DISTRIBUTION!!! How wide of a net can you cast with the content you provide. It's the reason many blog here, so that google will pick you up and your reach will be wider. This allows someone who is well written to cast a much wider net." So far, I think this has some real potential. For people concerned with "someone else" getting seo off of their post and "allowing" someone else to be found by your work, think about this. Would that person really have found you if the post had not been "re-blogged?" Casting a wider net gives you a chance to catch more fish. If you write good content, the rest should take care of itself. Wow, what did I miss. Started reading this blog I thought, oh my what kind of trouble will be brewing out there after reading the first few comments and then I thought after reading Bob Stewart's comment "What a concept - Distribution?" It will be interesting how re-blog will develop. I knew if I sat back long enough, something would change!!! Glad the re-blog is being re-visited!! I'm officially parked. I've been unofficially going over this with my attorney buddies to see what they think about it and "the loss of controlling the permissions" is their biggest concern as well as mine. Reblogging by anyone else other than the copyright holder is republishing without permission, period. The girls believe there has to be a mechanism granting and tracking each specific permission granted by the owner (a log maybe, similar to our comment list but capturing request IP addresses?) because an RSS feed is a headline link with a few snippets that takes a viewer directly to the owner's site and content (fair use), unlike a Re-Blog, which is to duplicate the entire content God knows where, by who, for what unknown reasons... A re-blog of a re-blog can have two people duking it out with a third party over licensing rights and who know what other unintended consequences may result... The hypothetical presented to me as an explanation: I say Big Mike can use my stuff anytime he likes. He does. One of his students goes back to AR and re-blogs my content because he learns about it from Mikey-Mike, except he uses my content to generate and drive advertising revenue on his site. When the site makes enough money, he sells it off completely and I start fighting with the third party because my photographs are in their marketing material (e.g. promotional calendars, tee shirts, mugs, mouse-pads, magnets, etc) advertising the site. People can make bogus profiles online. We have no idea who or what company will be re-blogging / redirecting traffic with our content. Imagine if a Wikipedia-type website re-blogged AR's Localism. That would certainly whomp, wouldn't it? We're excited about the possibilities, but cautious about the ramifications. I believe from chatting with the girls that it has to be set up where the value of the content (e.g. selling second North American publication rights of my turtle runs to the NY Times Real Estate Section) is not sacrificed or diluted just for the mere possibility of more SEO/Google juice (e.g. why pay Carol a monthly stipend when we can simply re-blog her dumb a$$ for free?). I love this place and do not want AR to potentially be the next type of "YouTube v Viacom" debacle where one schmo can hypothetically hold the whole gang hostage in a crap claim that he or she is not being properly compensated for their work and look for a company with deep pockets to pick. I'm still on the fence about claiming a community, but I intend to just keep writing into the communities I'm pretty much dominating anyway. So I guess that's why I'm on the fence. I don't know if "sponsoring" a community is necessary if I'm doing so much posting to it anyway. But I am going to check it out. I am extremeley confused. Don't people lose their accounts here; and get sued in real life, for stealing other people's content? Isn't this the same as republishing? Republishing is illegal. Do I really want someone to copy ... sorry reblog, my members only posts and put them out there, in all my communities? Now that I'm back, let me catch up on all the comments, emails, phone calls, text messages, and twitters. Please continue your comments and suggestions here, or on Bob's post, either way, we're here listening and responding. Thanks for helping us work through this. Thanks Brad--we DO appreciate you AND your 2 a.m. posts!! I like the SEO and linking idea of it. My question is what problems, if any, are there with copyright? I see the ReBlog button is back. You can't see it on your own posts, but we can, and this time it's not 2:00 in the morning! lol. Looks like most the bugs were worked out, the copyright issues were addressed in Bob's new post, the value and benefit was clarified, and the opt in/opt out option has been added to your my settings page, and to each individual post. Looks like this post paid off thanks to all of you. For those of you still concerned and not interested in the reblogging feature, just opt out. Like your IDX MLS, you may not like it so just don't participate. I intend to drive traffic to my favorite writers on AR by reblogging some of their content to my outside Blog. I also will use the commentary to give them kudos and link love just as we have always done by putting links in our posts. Now, the link people will click on will be to that writers blog. Let's see how it works. I'll select a few different folks here, reblog a couple posts I'd like to share with my readers, then see what happens to their traffic. Also, If I do this with a Brand New Newbie writer here on AR, it may be easier to track the increase or volume of traffic to their site. Should be a great way to test the theory. as long as I can find some great content. Since it only goes to my outside Blog, I think it's time to redo my entire outside Blog now. This will be very interesting to see what happens to the REnetBlog now. was this members only yesterday Brad? I think I understand (a little) about the SEO benefit, but what about duplicate content all over the internet. If a user searches google on a particle subject (maybe honed in on a very specific subject) and the results point to 10+ blogs with the same post, how does that benefit the user? Thanks so much for the commentary and step by step. I just noticed this new button on a blog I was reading and was trying to figure out what the heck it meant! I just went to my profile to opt out for now until I figure this thing out. I'm a little confused to just what is happening. Maureen - I edited it to add Bobs post and to make it members only. It turned into being a great source post for ideas and suggestions. I think it really represents the voice of AR and reblog. It actually allowed us to make some changes based on members responses here. Is there such a thing as accidentally successful??? lol!! I am off testing the NEW reblog and trying to break it, find bugs, etc. So far, I'm liking what's happening with it. I still have a couple concerns and issues but they're small at best. Sallie - great point. Thanks! Google is smarter than that, I would think the original author would get the most G juice but either way, if 10 posts did show up, wouldn't that benefit the author just as much if not way more? That's what viral is all about. I think that's the power some of us might be missing here. I am testing the SEO on a couple reblogs right now and will report back with my findings asap. My two most recent test posts are reblogs of Tara's video post. The results are already pretty mind blowing. Google does show some interesting results that I'm sure she's quite happy with. You're welcome to come check it out. I am posting some of my findings and results there as well. ...you can put a minimal amount of time and effort into a single post, in the middle of the night, and still get 3 times the comments you did from a post you spent all day working on and making just perfect! I still learn something new here everyday...and now every night! lol! Mike -that option will be available permanently, but I'm confident that you will figure it out right along with the rest of us. I'm already starting to like it, I see the value, I'm witnessing some of test results, and think it's going to be an awesome addition to the AR tools we already have here. I have/had a couple small issues and concerns, but those are quickly being squelched! You can tell by the changes we've already made that we truly are listening to everyone and making the appropriate updates and modifications. We did have to take it down for a day, but now it's live and the opt option has been added to both the posts and your "my settings" page. The more we learn, the more we grow, learn as much as you can so you don't miss out on opportunities. I'm going to try this out. Thanks and goodnight! Callie - let me know if you have any questions or need any help. :-)) Goodnight. Richard - just keep reading, the confusion will go away, I promise. The fog is starting to clear for many of us out here on the AR Super-highway! lol!~ Just park and stay tuned... be sure to check out Bob's other posts mentioned above, and there'll be updates here and from others in the future I'm sure. This is a response regarding some questions and concerns I had about my own observations. Q: I should not be able to go in and edit this post, which I can. A reblog should only allow the reblog author to modify their own (optional commentary) not the original authors content. A: You will be unable to make any edits to the original authors post! I checked and tested it with Jon tonight. We tried and it failed, so scratch that one off the list. Q: I think the option to reblog a reblogged Blog should be turned off. A: You can not reblog a reblogged post, the icon will not be there. Yeah!! Q: I thought the reblog was only going to be for outside blogs, I don't have the option to select one or the other or both. A: Jon decided to have them post on AR too. I can now see by the reblogged test post how affective it really can be, just ask Tara. :-) It does create a challenge still, what if I want my outside blog to be different than my AR Blog? Q: I think the original author should have a better link and get rid of the VIA. It should say "Author" or maybe "Original Author" and be hard coated to that post. Maybe even add a small image or photo of the author as well. Regarding the google SEO and the screen shot I took and posted on the reblog comments, I think it's because Lane had the most recent post, so he ended up on top, but let's wait a couple days and see what happens. One thing for sure, I'm convinced that there is Google juice in reblogging now for all parties. Here's a link to my Reblog test post using Tara's "How To" Video Tutorial....she's really good by the way! Wow, what a learning experience this has been. Reading all the comments has me a bit dizzy. I think I am figuring things out and I have faith that we will all prevail through this new and exciting adventure. Thanks for the down-low. That is pretty cool. I will have to give it a try. This is all great information, but I'm still going to wait for the water to clear. Absolutely horrendous idea - AND there shouldn't be automatic inclusion with an opt-out, it should be opt-in only. repeat it a few times.... lol!~ Thanks Marc, that was great! If you blog something and they edit, it changes on your blog too? I reBlogged someone then he went in and added a number of links back to him. He had the Re-Blog icon on his post. I wonder if when he looked at HIS content on MY blog if he felt like he needed to link back to himself. your's both had images. His did not... it looked very bare. Hi Brad - too funny! It appears to me at the bottom of the post I create where I decide to send it to Localism, put it on Active Rain, etc. there is a box I can check or uncheck to allow or not allow reblogging. I would think if you do not want another person to use reblog your content, UNCHECK the box. Unless I am missing something, that should protect you content in regards to reblogging. It appears that an OPT OUT is already in place. Does no one else see this???? From the majority of the comments above it sounds like no one does. "To re-blog or not to re-blog, that is the question..."
Maureen - when someone reblogs your post, they cannot edit anything you have written including links, photos, video, graphics etc. They can add their own information above the repost and thereblog option is removed from their post. We are still working on a couple things like adding your photo as the author and a tracking that will give yo all the information regarding who reblogged you, and the links to their posts. The look will change a bit but the concept will stay the same. I reBlogged. He added to the original post after. My blog has his additions to the post. I get what you're saying now. If someone reblogs you and you make changes to your original post, then your changes will show up on that members reblog of your post. Yes. That is true. And I think it's a good thing. Imagine if you had typos, or incorrect information and 25 members reblogged you, that would be hell trying to get all those posts corrected. By editing the master (original) post, all the others should and will reflect those changes. If that were not the case or you see a case where it's not, I need to know right away. Thanks. You can reblog up to 10 posts in a week. Anything after that won't be awarded points. You can earn points by having your post reblogged. Each time someone reblogs your post, you earn 25 points, up to a maximum of 500 points per post. Just started blogging and now reblogging? Guess I need to go back to the top and read SLOWLY down the page. Is it possible to put the basic info in an outline form? I know, you already do a lot to coax us gently thru this stuff.....but there's nothing like a good outline! Brad, This is the PERFECT blog to re-blog in perpetuity.... I hope you get a million points from it! Please re-blog http://activerain.com/blogsview/1449774/how-to-nominate-a-featured-blog-entry so we can get the word out and help some quality bloggers reach the entire community!